My wife hates the lingering smell of curry hanging around the house after I’ve finished cooking! So much so, we have 2 extractor fans in the kitchen and I often find myself cooking with all the windows open and surrounded by an array of scented candles and oil burners!!! 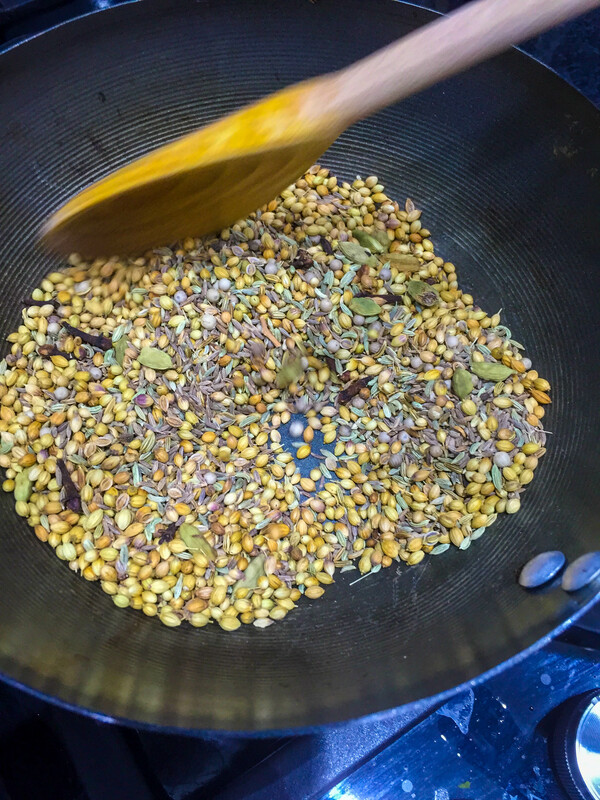 One of the longest steps in making a curry is the time it takes to roast my spices and then grind them and then fry the onions, garlic and ginger until they are soft and reduced enough to make the paste. 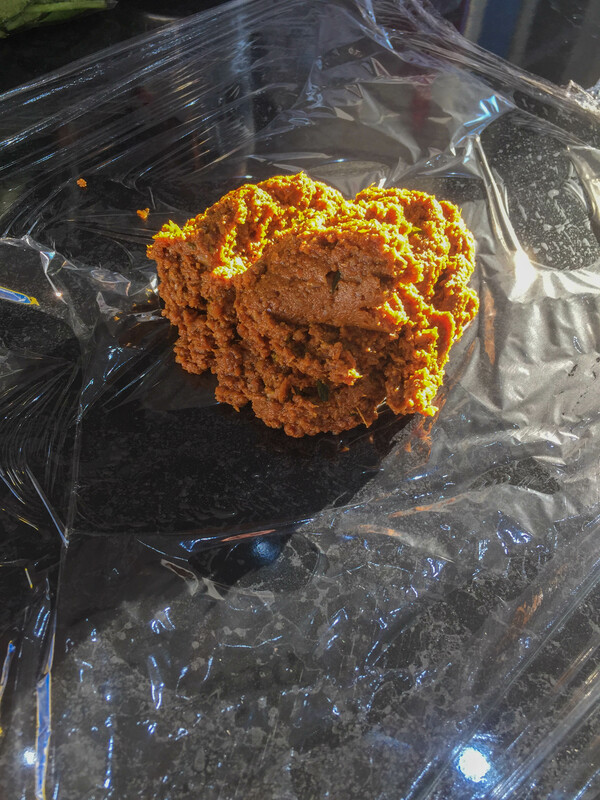 For both of the above reasons, I will often make a big batch of curry paste, let it cool and divide it up into portions and freeze it. When ever the urge to make a curry strikes, you can pull a portion of the paste out of the freezer and melt it in a pan. Then add your meat, fish or veg and a diluent, such a stock or coconut milk etc.. and you have delicious dish in less time than it takes for the local takeaway to deliver! I also use the paste as a marinade for meats I want to barbecue. The recipe below makes about 6 portions of paste (each sufficient for a curry for 4). Note about chilli – You may notice that there is no chilli powder in this paste. This is mainly as our baby loves curry and he eats more of it without the addition of chilli. If you want chilli, feel free to add a couple of tablespoons of Kashmiri chilli powder to the ground spices. Peel the onion, garlic and ginger and roughly cut the onion and ginger. 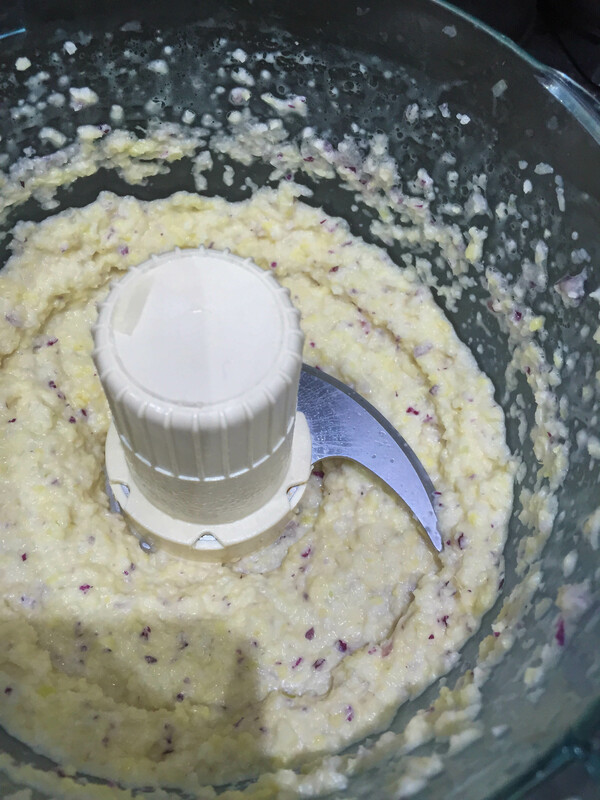 Place them in food processor and blitz them until they are a paste. 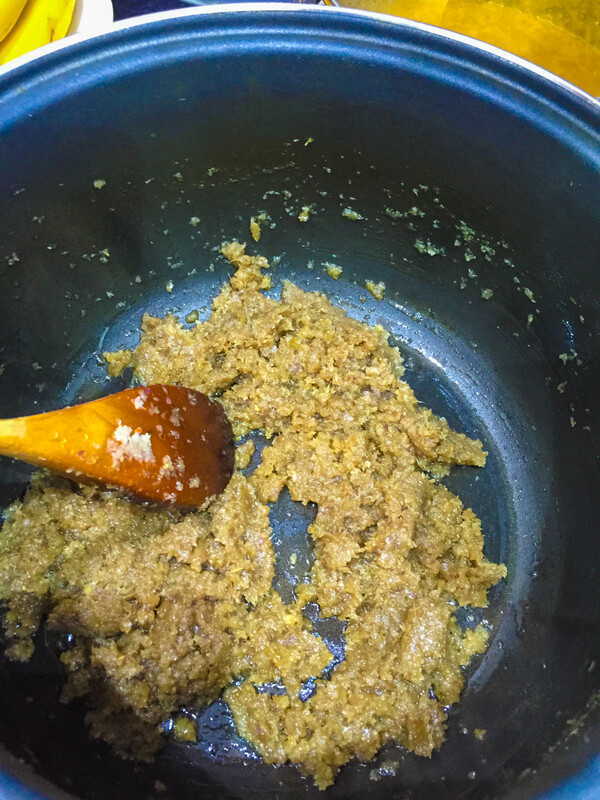 Heat the oil in large saucepan and fry the paste over a low to medium heat until it has reduced by half and turned a brown colour – this takes about 20 – 30 minutes. Keep stirring it from time to time to prevent it from sticking or burning. While the onions are frying; put all the seeds, the cardamon pods and the cloves into a dry pan and set over a medium heat, keep tossing or stiring the seeds so that they roast without burning. You can tell when they are done when they become fragrant and fill the kitchen with a wonderful smell. A few seconds after this, if you are not careful, they will burn and make the curry bitter! Next, you need to grind the seeds to a very fine powder. I use a coffee grinder but if you do this bear in mind that it will leave a distinctive flavour in the grinder which you may not appreciate in your coffee thereafter! 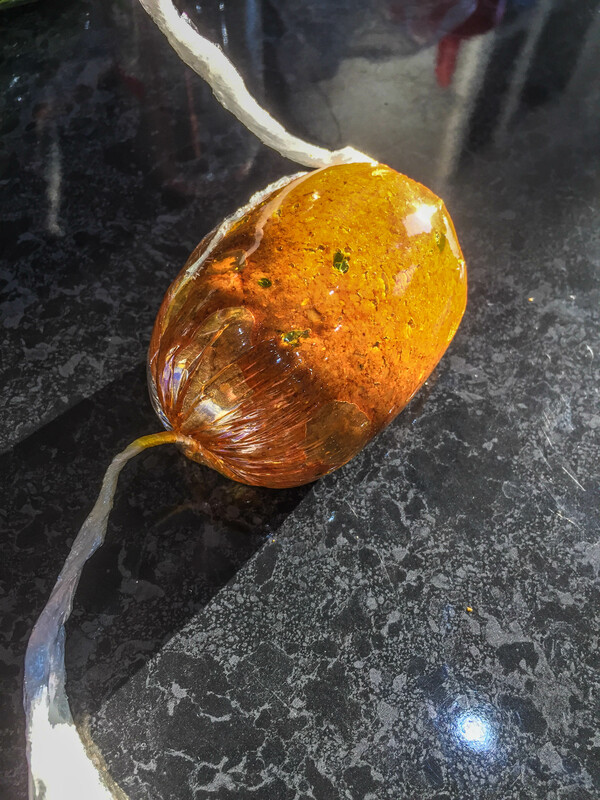 You can of course use a large stone pestle and mortar – curry aficionados maintain that this is the best way to grind the spices as you don’t over heat the spices with the spinning blade…… but life is too short! 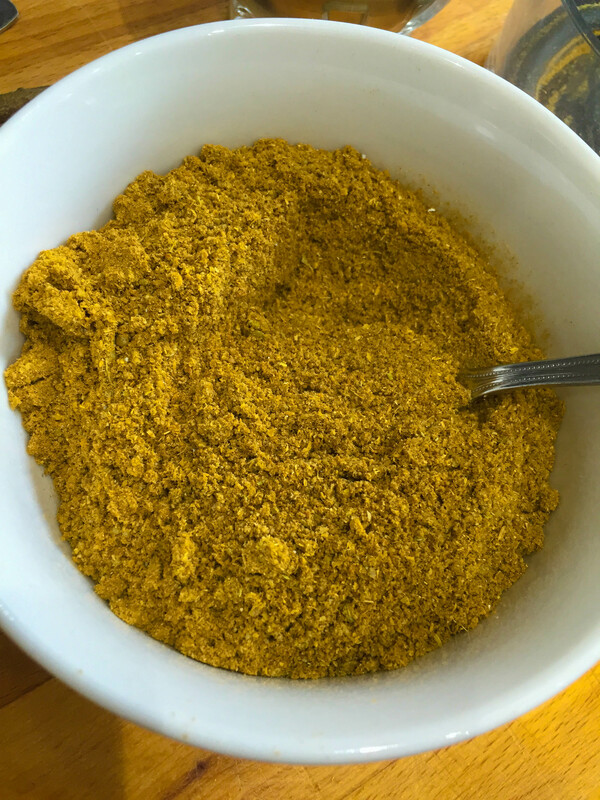 To the powder you have just made, add the turmeric and cinnamon powder and the salt and stir it in. If you’ve decided to add chilli powder, now is the time to add it! When the onion mixture is ready, add the spice powder and stir it in; the mixture will clump together. Loosen it up by adding the water about 100mls at a time and incorporating it well between each addition. After the last addition of the water, continue to fry the mixture for a few minutes more until you get a thick paste. Remove from the heat and allow it to cool in the pan. 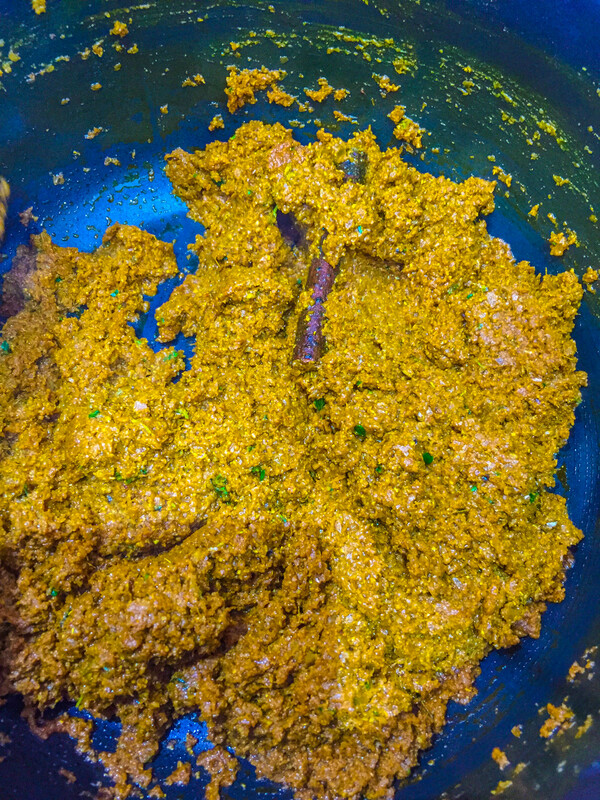 Stir in the chopped coriander. When cool, divide the mixture into equal parts on individual squares of clingfilm. 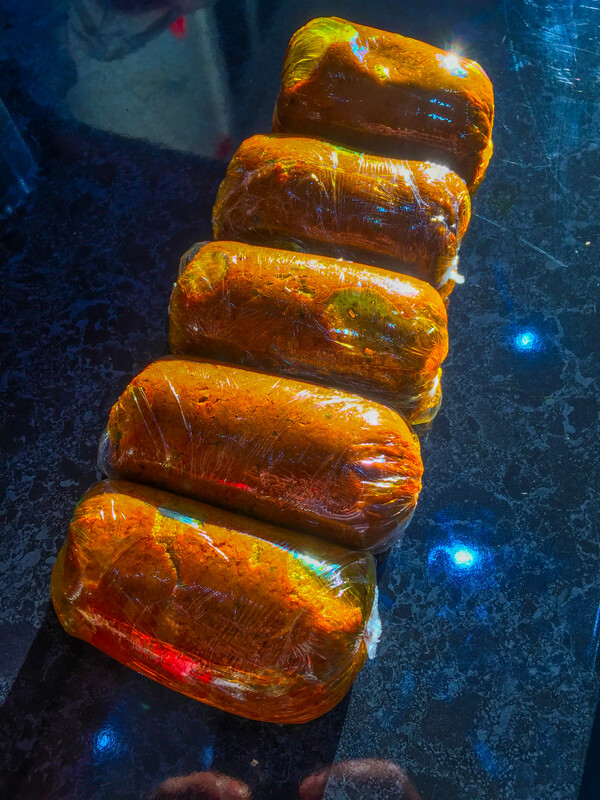 Roll the clingfilm to form a cylinder and twist to the ends to form a cylinder which you can now freeze.